Unique experiences to discover places, meet people and feel the city in a diferent way, like only a Venetian or who really loves Venice can do. To discover the most beautiful city in the world, in its most interesting aspects: contemporary Venice, traditional Venice, eminent Venice, Venice with its small details, hidden places, history of passion and extraordinary people. To learn, interact and nurture the culture of the city. Unique experiences to discover places, meet people and feel the city in a different way, like only a Venetian or who really loves Venice can do. To discover the most beautiful city in the world, in its most interesting aspects: contemporary Venice, traditional Venice, eminent Venice, Venice with its small details, hidden places, history of passion and extraordinary people. To learn, interact and nurture the culture of the city. 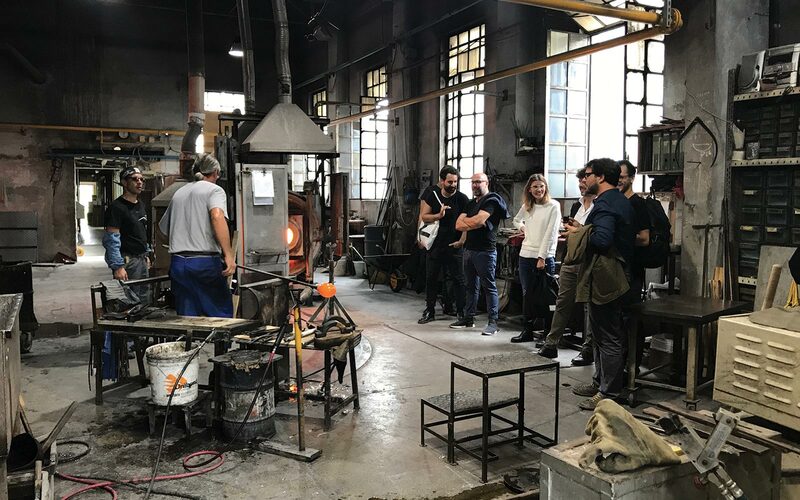 Take a visit to Salviati, one of the most well-established glass manufacturing company in Italy, exporting Murano’s glass know-how across the world and/or Rubelli, iconic Venetian brand known in the whole world for its unique and handmade textiles. © 2016 Casa Flora Venezia. All right reserved.